Welcome to the first day of Chocolate and Banana Theme Week! Bananas can be found in the same tropical areas where cacao trees grow. 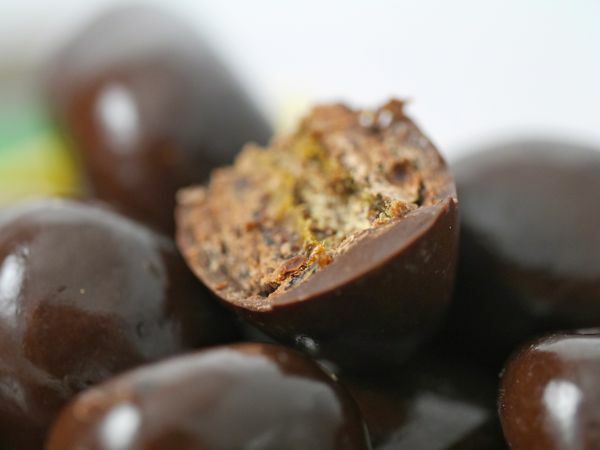 Banana leaves are often layered over cacao pulp and beans during a post-harvest fermentation process—one of the first steps in making chocolate. 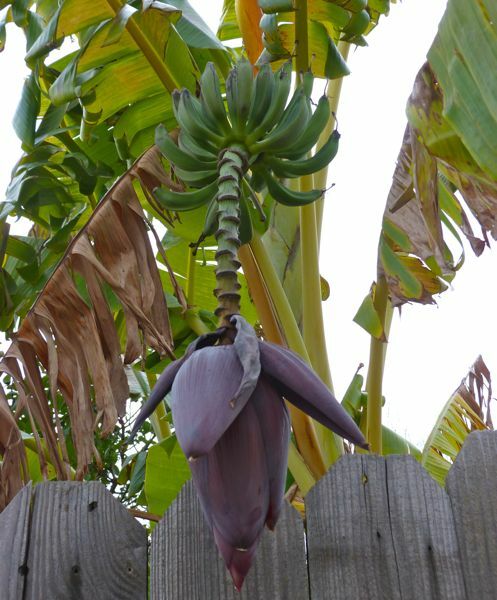 So, imagine my surprise yesterday—on a cold January day in the San Francisco Bay Area**—when I saw a large, tell-tale burgandy-red banana bloom hanging over a fence, with a group of greenish bananas ripening above, amongst broad, mostly frost-untarnished green banana leaves. This sighting provided a great inspiration for chocolate and banana week. Banana plants* may be scarce; but, fortunately, chocolate + banana offerings are easy to find. Today's 54% cacao Organic Chocolate Chewy Banana Bites were created and distributed by Wholesome Valley Foods (Santa Monica, CA). 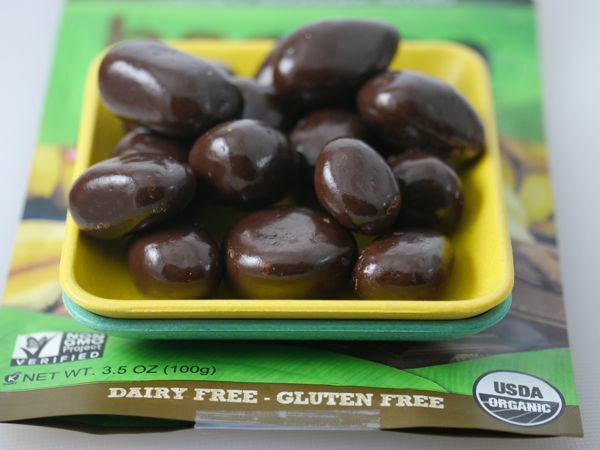 These potassium-rich and preservative-free, organic, dark, glossy chocolate rounds were filled with rich, concentrated organic banana flavor and soft chewy texture. I found a small handful of these pieces to be satisfying, flavorful and sweet—without being cloying. These bites were non-GMO certified, gluten free and dairy free. 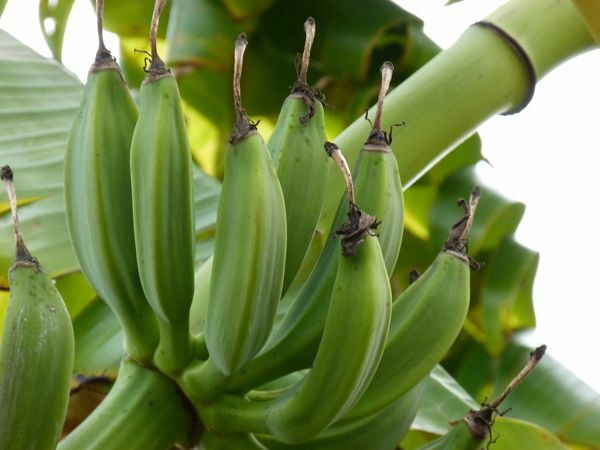 *Banana plants can grow to more than 20 feet (6 meters) tall, but they are not considered trees. 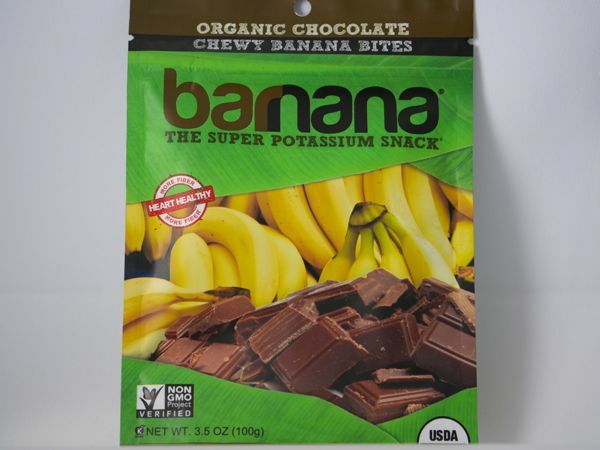 Rather bananas are "leathery berries" that grow on one of the world's largest perennial herbaceous flowering plants. 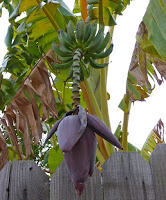 **It's sometimes possible to grow bananas in cooler climates, in cities adjacent to large bodies of water (that can help moderate temperatures, and minimize the probability of frost).